Tammy Randall Wood, ASID is the founder and principal of Interior Archaeology, a comprehensive interior design firm specializing in interior architectural design and fresh, curated furnishings. With over 20 years of experience, Tammy and her team have designed projects from coast to coast with an emphasis on architectural detail, ranging in scope from new construction to full-scale renovation. Interior Archaeology brings a breezy Southern California approach to elegant, livable interiors. 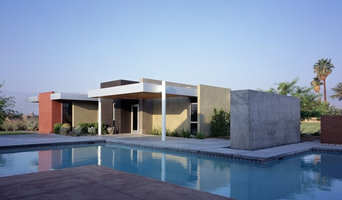 Tammy studied Television and Film at California State University at Northridge and went on to study Interior Design at Parsons, eventually earning her NCIDQ Certificate (one of the highest accreditations in the field) as well as Professional Membership in the American Society of Interior Designers. Interior Archaeology brings a deep well of rich design knowledge to its projects, but it also keeps its finger on the pulse of the technology that makes the process more efficient and accurate. Having the capacity to realize designs in 3D is not only a powerful visualization tool for the client's benefit, it also enables communication with contractors and vendors to be incredibly precise and comprehensive. Interior Archaeology is proud to be part of the Dering Hall Designer network, and continues to be awarded Best of Houzz year after year. Interior Archaeology is known for Creating Noble Spaces. To me, a Noble Space is one with the power to support you in the life you are creating and the person you are striving to be, and I always collaborate with my clients with this goal in mind. We design in every style and love the process of getting to know you: listening and learning about your design goals and aspirations for yourself and your space. We are here to make the journey of transformation a pleasure and to be your trusted guide in creating spaces that are spectacularly personalized—spectacularly you! Now also offering staging services in the Southern California region! Erika Winters has more than 25 years of experience as an Interior Designer. The style that marks his office located in Los Angeles California is Contemporary Classic Design. -The mission of Erika Winters® Design is to create high design environments and products with relaxed and chic spaces, thus guaranteeing the end user a pleasant experience. We have comprehensive design and construction services. In Mexico we work with specific clients who have made contact with us and we have a specific project. -Restoration and intervention of furniture; Erika Winters has worked for years intervening furniture and turning them into splendid and comfortable pieces, taking as a principle the removal of their own spirit, in order to acquire a unique presence and transform our home. At the moment of seeing a piece, Erika finds her character and recognizes her potential. The next moment, she imagines the finished piece, and based on that image, she begins to redesign it, taking the furniture as raw material, giving it the opportunity to be reborn and become a unique piece with genuine character, and a lot of personality. -Commercial; Erika Winters® Design has experience in remodeling gas stations that include convenience stores, offices and animal hospitals. Erika Winters Inc. is extending her influence beyond Mexico City and is already beginning to make her mark in Los Angeles, New Jersey & New York City. EZ Plans provides architecture services for home remodels, additions and new construction. We are changing the way architectural services are delivered by offering fixed, affordable prices. Our prices are displayed directly on our website. Our talented architects and designers work with you to make your home improvement dreams come to life. We make it easy and convenient using our innovative mobile design studio. We present your design options to you directly on site. We make the architecture process easy for homeowners and contractors alike through our simple, five-step process that takes you from initial measurement to issued permit. Call today to speak to one of our customer service representatives! 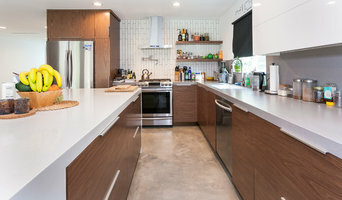 Since 1989 Liz Tiffin, owner of Amazing Kitchens and more... has been helping homeowners achieve the kitchen or bathroom remodel of their dreams. Working with homeowners and contractors to turn their vision into a reality. Always mindful of your budget we will turn that dreary dreadful space into a beautiful, functional room. Our services include: Space planning. Cabinetry sales, representing Woodland, Plato, and Homecrest Cabinetry. Selection of appliances, plumbing fixtures, counter tops, flooring, backsplash etc... Coordination of the project with your contractor or we can recommend one of the reliable local contractors we work with. Brandon Architects, Inc. is a boutique full-service architectural design firm specializing in high-end custom residential, multi-family, small commercial, and hospitality building types. Our focus is on creating successful projects by providing the very best in architectural service and design. We take a holistic approach with each project, evaluating the needs of the individual client with the constraints of a site to determine appropriate solutions. Our services ensure that each process is unique and that client expectations are exceeded. Great design is achieved through a unique creative process and implemented using today’s latest 3D/BIM project execution tools. In addition, our smart design process explores available sustainable techniques and technologies to present green and socially responsible solutions in an affordable manner. Richart Design is a full-service design company, bringing over 30 years of experience to each of our projects. We specialize in custom homes, remodels, new commercial development, and commercial tenant improvement projects. From design concepts and space planning to engineering, combined with remarkable construction administration, our firm is proud to be a leader in residential and commercial renovations. We focus on creative, yet cost effective design solutions to meet your needs. Whether you need to transform your home or commercial space through a remodel, facelift, tenant improvement process or planning an entirely new custom endeavor, trust Richart Design to bring your vision to life. Hsu McCullough is a full service architecture firm specializing in custom home design rooted in comfort. Led by principals Peggy Hsu, AIA and Chris McCullough, we envision and create exceptional places through a collaborative process with our clients. Meeting frequently to discover and achieve client goals, with communication and cooperation held at the highest regard, Hsu McCullough's meticulous approach offers thoughtful and elegant solutions for all budget and schedule challenges. Our office engages every detail of the process that flows from initial project analysis through construction completion. With a love for all things handcrafted - modern or traditional - and building materials exuding textural authenticity and charm, a Hsu McCullough space reflects the personalities and lifestyles of our clients with a loyalty to natural light and an equal enjoyment of interior and exterior environments in all their many forms. Our firm and work have been featured in The Wall Street Journal, The New York Times, The Los Angeles Times, Dwell magazine, Dwell On Design home tours and many architectural design websites. Burdge & Associates Architects, Inc. (BAA) is an international architectural, planning and consulting firm based in Malibu, California. BAA specializes in the creation of premier residential, institutional and commercial projects throughout North America and the world. 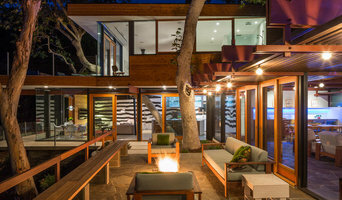 Douglas Burdge and BAA are recognized for a variety of architectural styles, including Spanish Mediterranean, Rustern (Rustic-Modern) and cutting-edge contemporary, from Malibu to Sun Valley and to Los Cabos. Burdge has become the signature architect of Malibu, having designed and built over 100 estates in the region, for notable clients including entertainment moguls, politicians and Fortune 500 CEOs. Burdge has unparalleled experience building in the City of Malibu, and has the ability to efficiently implement significant residential projects through his long-term relationships with the city officials, local real estate brokers and developers, and geological consultants. In addition to multiple high-end residential projects in Malibu, BAA are currently designing a variety of mixed-use, multi-family and single family estate projects in Paso Robles, California; Sun Valley, Idaho; and Big Sky, Montana. The firm is committed to maximizing the best use of sustainable materials and methods and creating environmentally responsible designs for all of its projects. 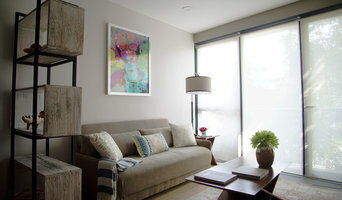 Best in Houzz Award Winning Architect / Interior Designer! Michelle Anaya, AIA is a registered architect in California with more than 35 years of experience in architecture and interior design. She earned a BA Architecture degree from The University of New Mexico, completed graduate studies at University of Southern California, Harvard Graduate School of Design, and Art Center College of Design. She was named a Mayr Scholar at USC. Ms. Anaya has held visiting faculty positions at Harvard Graduate School of Design and Tufts University. She has lectured nationally on the topic of design. Her design work has been featured in Interior Design Magazine. Shane Ames and Shawn Peterson team up to deliver vastly unique buildings and environments. Our design process is developed by weaving modern ideas with historical influences while attaining your wants and desires. We start with an axial design approach using line of sight, balance or symmetry and good taste, to create the feeling desired. A European background and love for extensive worldwide travel and photography, combined with a penchant for the historical details from the Ancient Egyptian, Greek, Roman, Byzantine and Renaissance architectural styles influence our designs. Combining our unique backgrounds and approach with our clients' ideas and concepts leads to a hint of elegance that emanates and is not just seen “they just feel good without knowing why”. All architectural styles including contemporary can be approached in this fashion to create a timeless and classic piece of functional architecture to view, reside or work within. We have been blessed to have our designs reach globally gracing 6 continents, 30 countries and domestically to over 40 US states. Van Parys Architecture and Design is a boutique firm located in Westlake Village, CA. At VPA+D, we handle new construction and major renovation projects as well as interior design, furnishings, hardscapes and landscapes. The goal is simple: deliver successful customized design solutions to our clients. Founded in 2011 by architects and designers Michael and Rosa Van Parys, VPA+D is a firm focused on creative design solutions for our clients’ specific needs. The company prides itself on a holistic approach to design that incorporates a team-based strategy focused on innovative solutions with environmental responsibility. VPA+D’s highly trained team is committed from concept to implementation. Our firm feels blessed by the constant support of our incredible clientele. At VPA+D, the team strives to deliver the highest quality product and continue close relationships with our clients beyond completion. We oversee everything from walkthroughs to installations to final touches, so our clients can relax and have peace of mind. We help modern families design amazing homes. At Laney LA, our licensed architects and designers bring excitement to the design process through our unique, creative and deeply personal approach. Harnessing a new generation of digital tools, we strive to broaden the joy of design. Here at Teale Architecture, we believe creativity is to design a home that fits the owner, site, style, climate, construction, and budget. Mark's philosophy is "liking what you do determines how well you do it". This means building relationships, understanding the intricacies of building and design, and addressing clients most vexing problems and everyday concerns. In short, doing the best for each individual client. We work in collaboration with clients to realize the best design and celebrate diversity in design. We have designed successful projects from traditional homes to modern homes and everything in between. We also provide many levels of support for Interior Design from assistance in documenting design for the contractor to assistance with selection of materials. With a staff of six, Mark works side by side to promote ease in communication at all times. Whether he is directing his draftsman, overseeing a submittal, or ensuring the progress of tasks to move the project along in a seamless manner, Mark is able to change modes from design to technical to management seamlessly. It is the talent that ensures the best design, developed in the most complete manner, in the most efficient time frame. We are a full service architecture and interior design firm specializing in sustainable solutions for single-family homes. Our expertise include extensive experience with hillside projects, specific plans, design review boards and mansionization ordinances. We have worked on both remodels and new construction in most municipalities in the Greater LA Area; including Santa Monica, Beverly Hills, West Hollywood, Burbank, Glendale and Pasadena. How do I find the best Agoura Hills architect for my home design project? It is best to hire a home architect who will be involved in all phases of the design process, from the initial concept to the completed construction. The architect is often the first person you will hire for your project. If necessary, they might also help you select and hire California subcontractors, which can include the builders, engineers and landscaper. Interior architects are also involved in negotiating contracts for all involved participants. It is for these reasons that it is extremely important for you to have a good relationship with the Agoura Hills residential architect you hire. He or she can be the tie-breaking vote between you and the general contractor and can be your biggest advocate during the construction process. Different architecture firms in Agoura Hills, CA provide different services, so the scope of the work can span from pre-design environmental impact studies to selecting furniture and finishes, depending on what your specific needs are. It is very important to hire the right professional for the job. Remember that the most well-known or established designer might not provide the best architectural services for your needs. It all comes down to the individual project. Research and ask people whose work you like for recommendations. It's important to have somewhat of an idea of the style of house architecture that you prefer, as well as the amount you would like to spend. Residential architects in Agoura Hills, CA are natural problem solvers. They will assess the entire situation and help you to solve your problems too. Don't settle for a single company too early. Call and interview a few. Make sure that you feel like your personalities will mesh well and that you like their professional perspective. Find a home architect in Agoura Hills, CA on Houzz. Narrow your search in the Professionals section of the website to Agoura Hills architects. You may also look through photos of California projects to find interior architects and building designers who have worked on a project similar to yours.